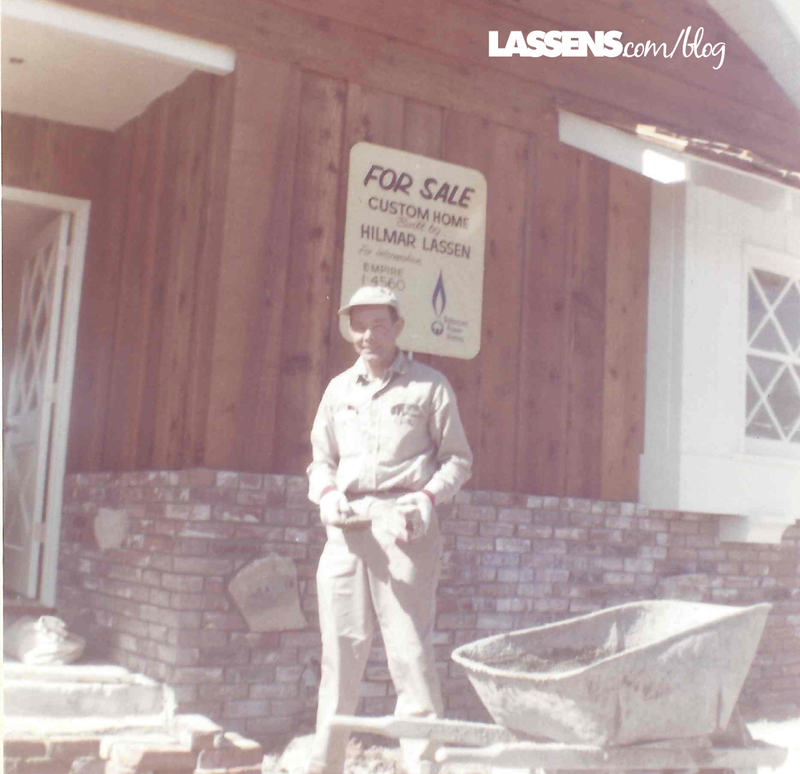 When the Hilmar and Oda Lassen family immigrated from Denmark to California in the early 1950s, their first order of business was to find a way to earn a living. Hilmar and Oda had always been hard workers, and the trial of the German occupation of Denmark during World War II had strengthened their persistence in even the most challenging times. In preparing to immigrate, Hilmar learned the bricklaying trade in Denmark before they set sail. When they got here, however, he found that the American method of laying bricks was different than the Danish way. So the best job he could find was a bricklayer’s assistant. He took the job, learned the American method, and struggled to learn English. They settled in the San Fernando Valley, and the girls entered school. Hilmar and Oda took English lessons — he didn’t like to study, but she did. Oda told me that she would do Hilmar’s homework for him. She was very motivated to learn, probably because she was not out in the working world and wasn’t about to have the practice that he did. There were no dual language programs in the 50s, so Bee, Ida, and Doris had to just learn on their own. For the first six months they felt completely lost, and came home crying from school every day. But within a year they were pretty much fluent English speakers. The years went by and Oda and Hilmar had three American-born children — Anna, Peter, and James (Jimmy). Hilmar earned his Contractor’s License and they became American citizens. Hilmar traveled all over Southern California, building everything from block walls to custom homes. 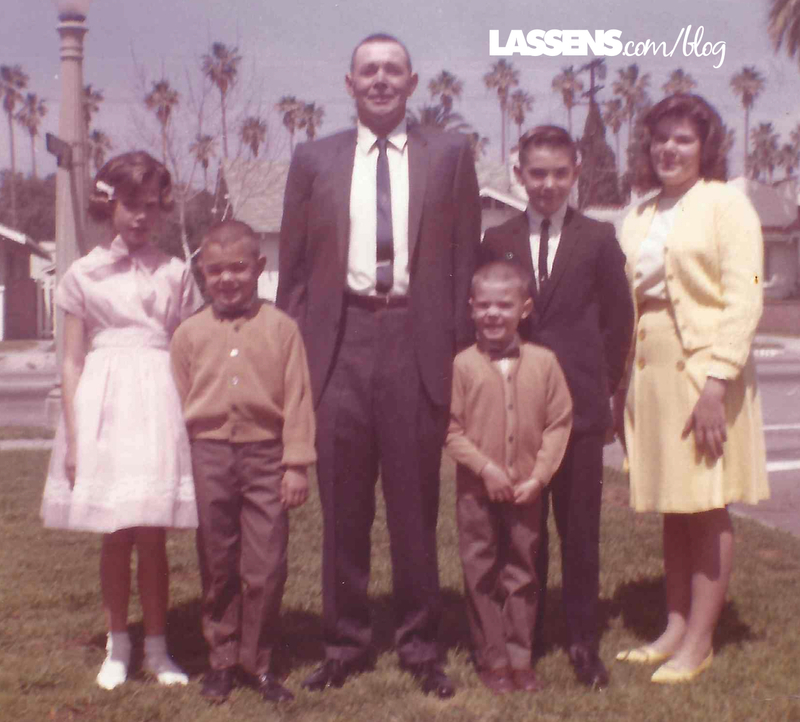 The Lassens began to live the American dream, even buying a house in San Fernando. In 1963, Hilmar decided to build a spec house in the little Ventura County community of Camarillo. It was mostly avocado and orange orchards then, and there was only one stop sign in town. One Sunday Hilmar brought the family to Camarillo to see the house, located behind the Catholic Church on Las Posas and Crestwood. They attended church in town, and liked the community so much that they decided to not sell the spec house, but instead to sell their house in the Valley. So in December 1964, the family moved into that house and began to sink their roots deep in Ventura County. Hilmar stayed busy in the construction business. He became not just a bricklayer, but a craftsman — even an artist. 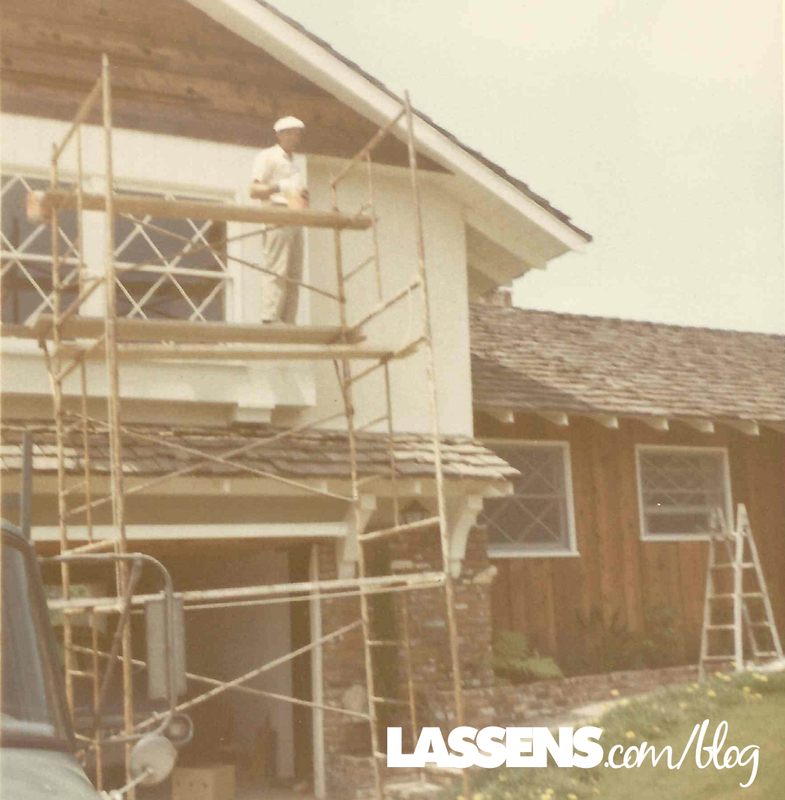 When I first came into the family in the early 80s, we would often take Sunday drives and Hilmar would show us what he was building, and also point out other jobs he had done over the years. 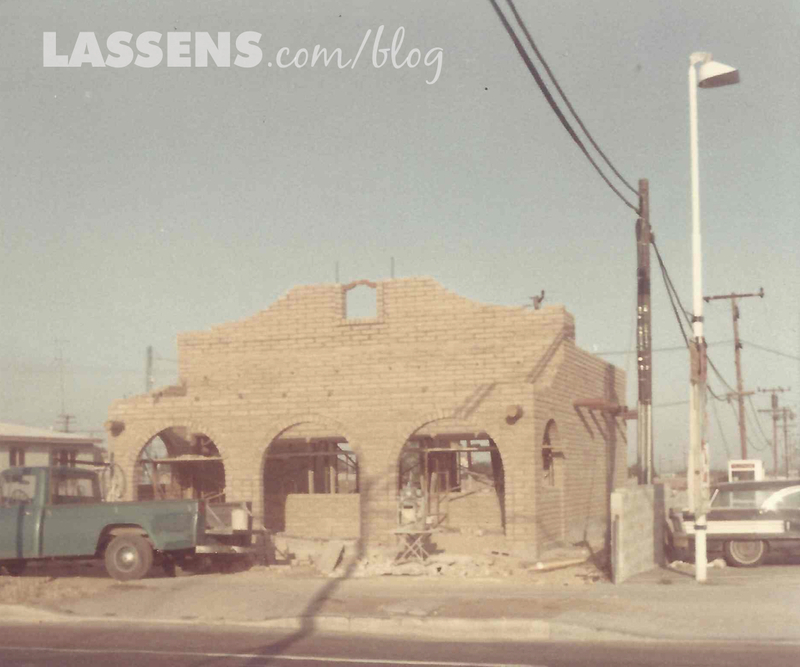 He built the first Taco Bell in Camarillo on Arneill Road, which is now Hector’s Fresh Mexican Food. He loved to tell how he built the fireplaces and other brick and stone work in Ronald Reagan’s house in Pacific Palisades. All the while, Oda was very busy holding down the fort at home with those seven children. She nurtured and taught them, and ran them to and from their activites. 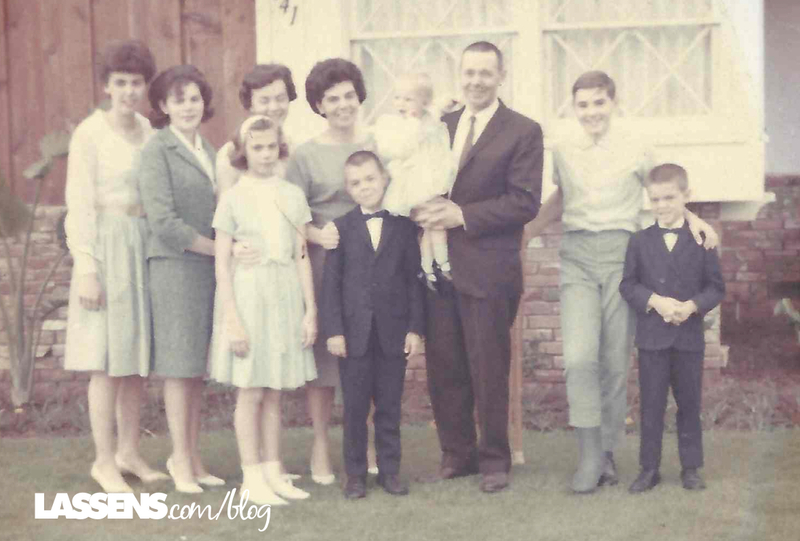 The Lassen siblings enjoyed their family life, learned, and grew. John enjoyed scouting, eventually earning the rank of Eagle. 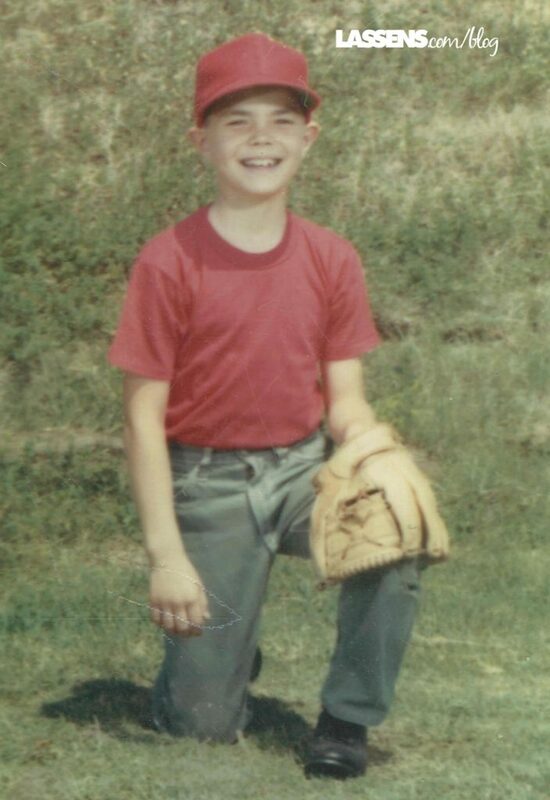 Peter especially loved the American pastime, baseball. The older ones left for college, married, and the grandchildren began to arrive. Once all of the children were in school, Oda began to work outside the home. She had always been interested in the area of health, and one of her jobs was at a local Health Food Store. The job was short-lived however, as she was fired — mostly because, according to Oda — the owner wanted to hire a “younger, more attractive” woman. But even if Oda had not been let go, she was disgusted with the way the owner ran the business — selling healthy items right next to processed and definitely unhealthy foods, and smoking big cigars in his office. She was ready to strike out on her own. Here’s the Lassen family in front of the home that Hilmar built. He is holding their first grandchild, Nancy, and all of their children are in the photo. Their son-in-law must have taken this picture! Left-right: Bee, Doris, Anna, Ida, Oda, Peter, Nancy, Hilmar, John, Jimmy. About 1965. Next Month — Oda the Brave decides she can do a better job herself, and leaps into another adventure!